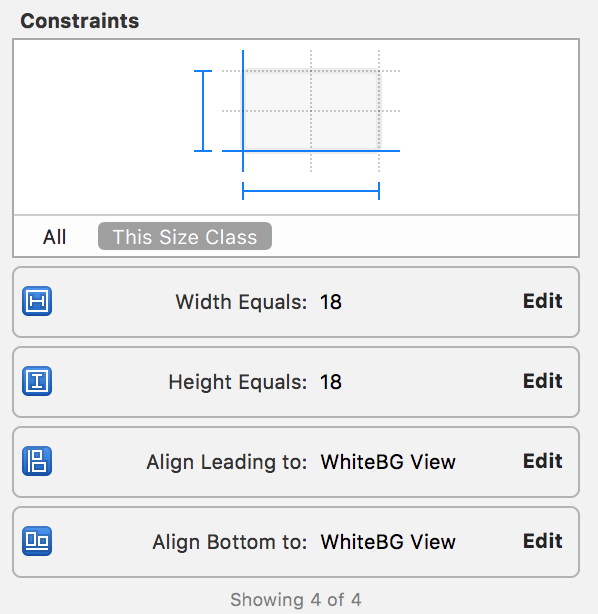 I did a bit of research, and I see, there is no easy way to make only top right and top left corners of the UIView round, right? ps. This code makes all 4 corners round which is smth. I don't want. PS: as I said in the comment, if you use things like this when displaying UITableViewCell cells, I've found that it's always a better choice to use background images because this kind of drawing stuff always affects performance. Not the answer you're looking for? Browse other questions tagged iphone ios uiview or ask your own question. UIView CAGradient with rounded corners? how to set cornerRadius for only bottom-left,bottom-right and top-left corner of a UIView?